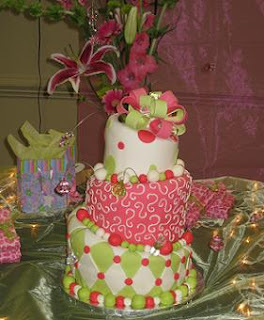 Alice in Wonderland Mad Hatter Cake themes in various striking colors perfect of a cheerful and bright wedding! Three tier Mad Hatter Cake in green, pink and white. 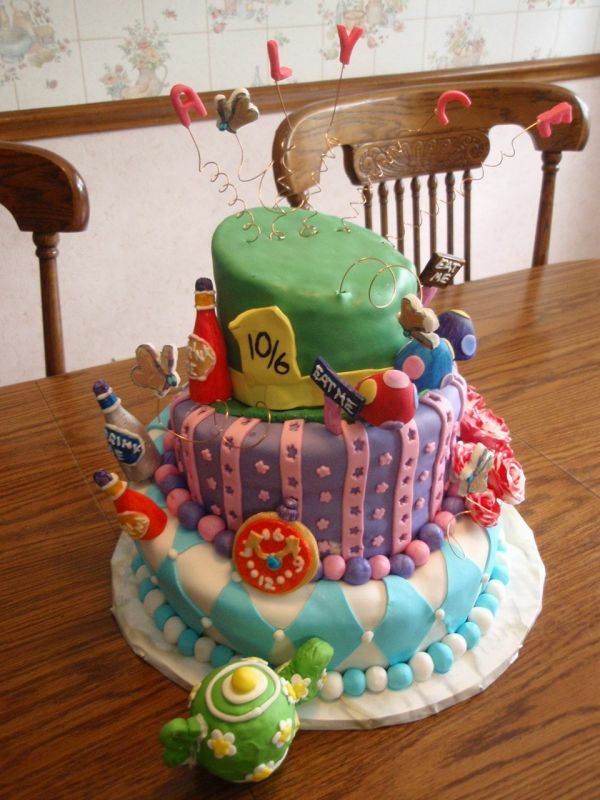 Colorful and vibrant Mad Hatter Cake with tea pot top tier! 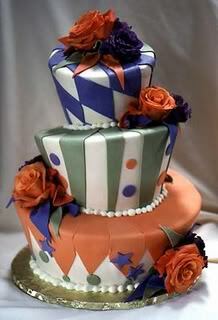 Elegant Mad Hatter Cake wedding cake in purple, orange and white. 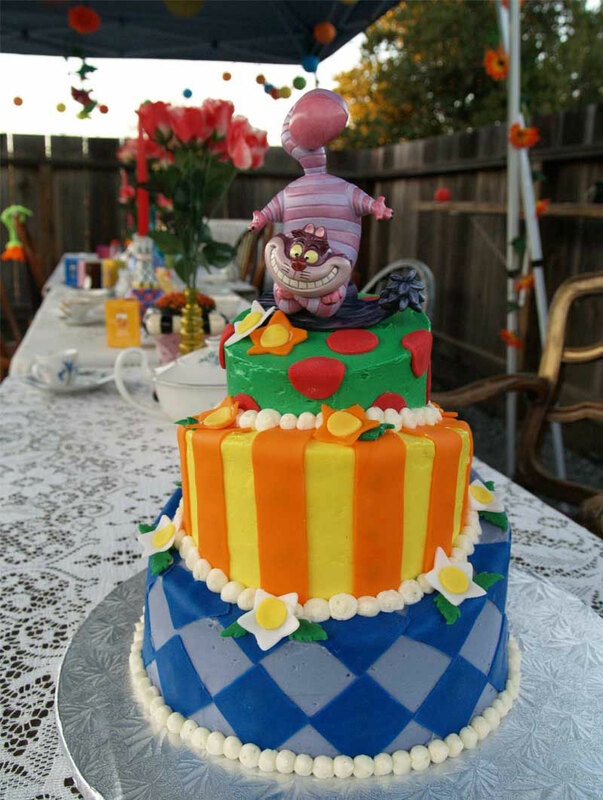 Crazy Mad Hatter Cake wedding cake in bold colors with Cheshire Cat cake topper. 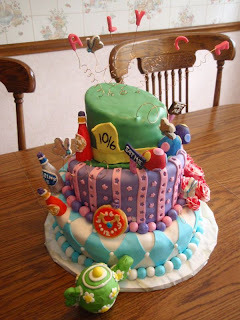 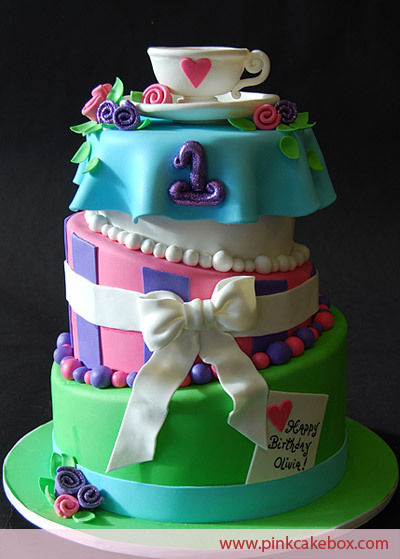 Colorful three tier Mad Hatter Cake. 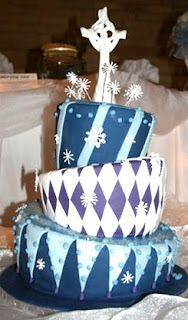 Lovely Mad Hatter Cake four tier wedding cake in blue, purple, green, pink and white. Blue and white Mad Hatter Cake Topsy Turvy wedding cake! Click here to see more Alice in Wonderland Cakes!